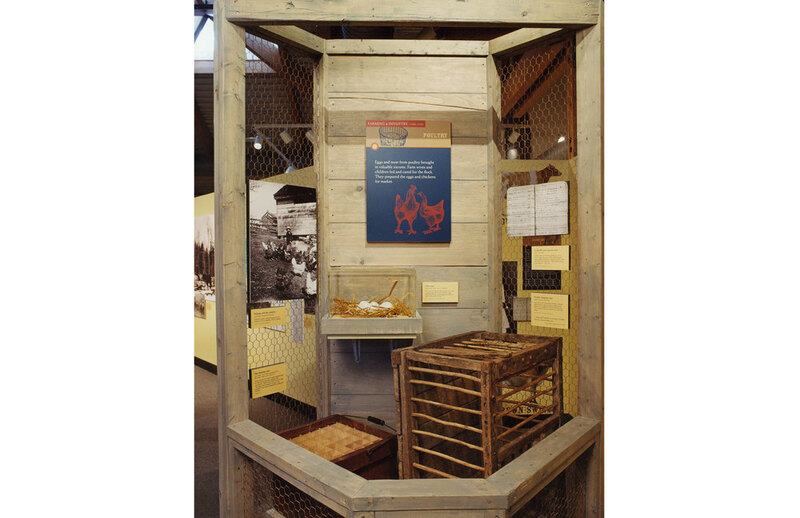 The story of the evolution of county farm life and farm technologies, from native inhabitants to present day, is explored in this 5,000 square foot permanent installation. 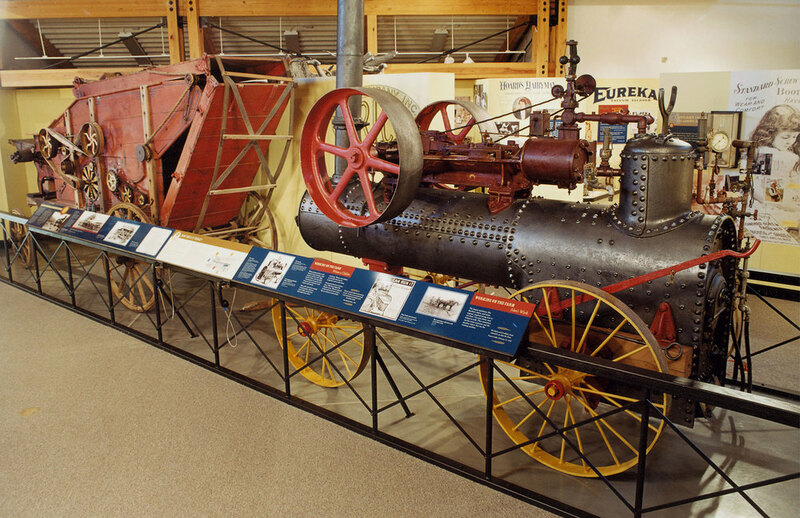 Exhibits are richly illustrated with a wealth of farm implements and machinery, low-tech activities, immersive environments, life cast figures and vibrant graphics. Through the effective use of materials, textures and color, exhibit architecture reflects the agrarian themes being presented. Audio interviews, graphic quotes and written personal accounts are used extensively to give voice to historical county farmers and their families. 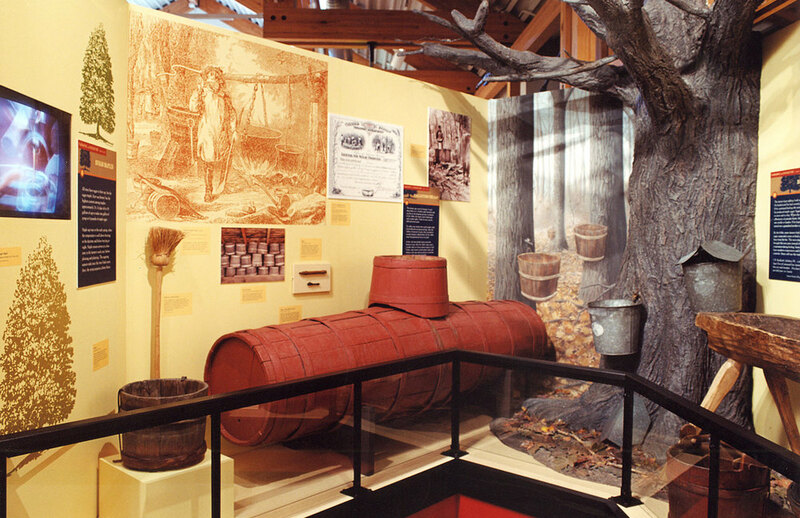 Visitors to the Center can enjoy a variety of experiences both in the exhibits and by exploring the center's grounds and outdoor collections. 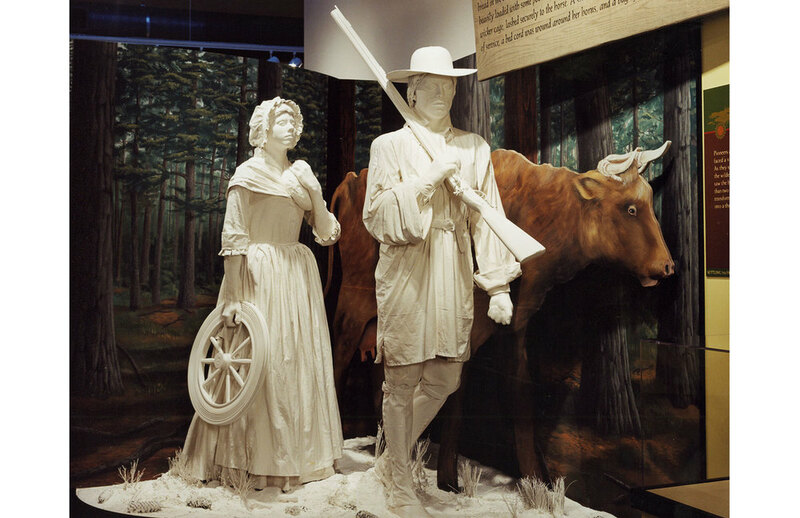 Combined, they offer visitors a comprehensive look at county farm life. "The exhibit resulting from Steve Feldman Design's work has met this challenge wonderfully – it is bright, attractive, and engaging, fulfilling the needs of casual visitors while at the same time meeting the demands of those seeking a more in-depth experience."